Before The Batman took to the streets of Gotham City, facing his greatest foes, there was the beginnings of the classic Gallery of Rogues. In the early stages of their criminal activities, the young detective, Jim Gordon, faces some of Batman's future villains head on. See some of the rogues in this unique MightyPrint. 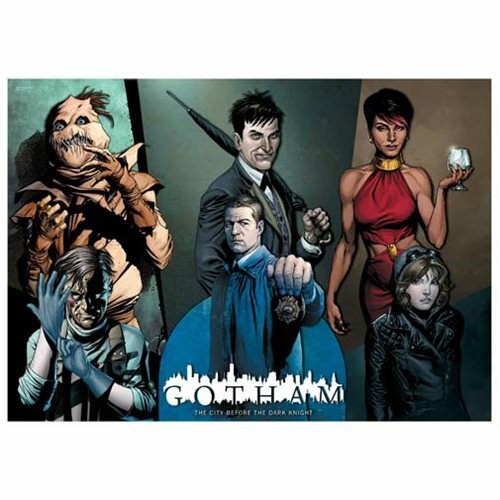 The Batman Gotham TV Series Rogues Gallery MightyPrint Wall Art Print will look great hanging in your home or office on the wall. Measures about 22-inches wide x 17-inches tall. Ages 14 and older.